531 Grand is planned as a Class A+ mixed-use development encompassing 140 multifamily units and 10,209 square feet of retail space. The building is located on an infill site in downtown Kansas City’s historic River Market. 531 Grand will feature 15 floor plans with, studio, one-bedroom and two-bedroom units available in a seven-story configuration. 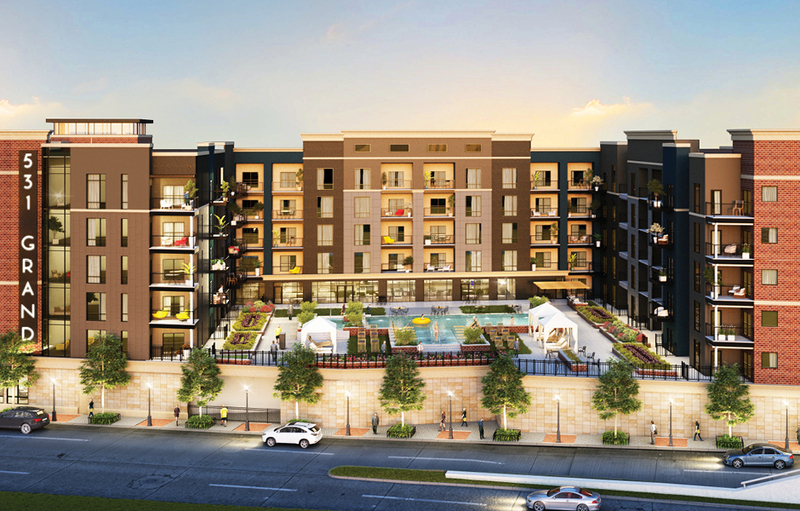 The building will feature first-class amenities, open concept floor plans and a lushly landscaped amenity deck that includes the clubhouse and fitness center, a resort-style pool, and community recreation areas.